Our tradition is to wait for you to seek membership entirely of your own free will and accord. Today, however, certain Grand Lodges may allow exceptions that let their members to selectively invite men of good character, who will be a credit to our Fraternity. But this doesn’t mean that you should wait to be invited to join. Your interest is enough, if you meet the qualifications just ask a mason. To start the process, you must first submit a petition for membership. This petition will be read at a meeting of the Lodge you are seeking to join. You will then be visited by a small committee from the Lodge who will ascertain your qualifications and answer any questions you or your family may have regarding Freemasonry. At the next meeting, the members will vote on your petition for membership. Once approved, you will participate in ceremonies known as Degrees and you will assume your vows of membership. Why Should You Consider Membership? Every man has his own reason for wanting to be a part of the greatest fraternity in the world. Regardless of your reason, you will benefit from membership, because Freemasonry makes good men better. Look around our site and you will find much about our history, purpose, and character development and charity. To take the next step, you need to submit your petition to the Lodge. 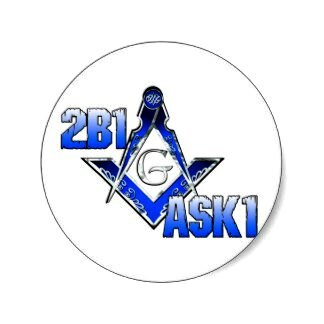 If you know a Mason, ask him to assist you in becoming a member. You can also download the form by clicking on the link on the bottom of this page. A SECRET SOCIETY – Freemasonry is not a secret society. Our members do not hide their affiliation with us. Our buildings are well-marked and often available for community use. While there are a few confidential handgrips and passwords used to confirm membership, we have no secrets concerning our purpose and programs. Many of our activities are open to family and friends. MEMORIZATION – Like all fraternities, Freemasonry has impressive ritual ceremonies that date back centuries. These are presented by officers who are developing their leadership and public speaking skills. There some memory requirements, and members will assist you along the way.